Dr. Jonathan Kulbersh, double board-certified facial plastic surgeon and founder of Carolina Facial Plastics, discusses a less-invasive type of facelift ideal for people who don’t need a full procedure. According to the American Society of Plastic Surgeons the number of cosmetic procedures performed in the U.S. grows every year. What’s notable, however, is the shift in the types of procedures that Americans are choosing to undergo, as, with each passing year, ones that focus on specific areas of the body are becoming more popular. In fact, several of these body-specific treatments have been derived from more general, ostensibly one-size-fits-all procedures that don’t always accommodate everyone. One such procedure is the Comfort Minilift, which addresses early aging concerns on the lower third of the face. It’s a different take on the full facelift, and it suits patients seeking rejuvenation with less downtime and discomfort. In general, it is often more suitable for people with sagging skin and small jowls along the jawline and neck, who also have healthy, elastic skin. A Comfort Minilift is not intended for people with fine wrinkles (for this, peels and laser resurfacing procedures are more effective) or larger creases such as the nasolabial folds running from the nose to the corners of the mouth (injectable facial fillers are better for this). In the current atmosphere of new lasers and tightening devices, a mini lift such as the comfort mini lift remains the gold standard in lifting and tightening loose skin and fat for patients with early aging changes. I believe it remains the most predictable and longest lasting option. Learn more about facial fillers at https://CarolinaFacialPlasticSurgery.com/Non-Surgical-Treatments/. 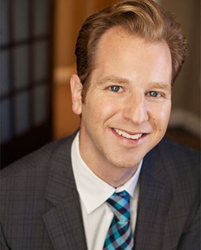 Double board-certified as a facial plastic surgeon and fellowship-trained in facial plastic and reconstructive surgery, Dr. Jonathan Kulbersh is the founder and director of Carolina Facial Plastics in Charlotte, North Carolina. Dr. Kulbersh received training in facial plastic surgery in Beverly Hills with renowned surgeons, Babak Azizzadeh, MD, FACS, Paul Nassif, MD, FACS, (well-known for his show Botched) and Guy Massry, MD, and has experience in facial rejuvenation procedures, including facelift, rhinoplasty, eyelift and injectables (Botox and fillers). Additionally, as an expert in the function of facial nerves, Dr. Kulbersh has a special interest in patients with facial paralysis and Bell’s palsy. Dr. Kulbersh has published numerous articles, as well as chapters of medical textbooks, including Master Techniques in Blepharoplasty and Periorbital Rejuvenation. Please visit our website: https://CarolinaFacialPlasticSurgery.com/.